Does Soaking Hay Affect the Nutrient Content? Equine nutritionist, Shannon Pratt-Phillips, PhD., explains that soaking can leach nutrients from hay, but for horses with certain dietary needs, this may be necessary. 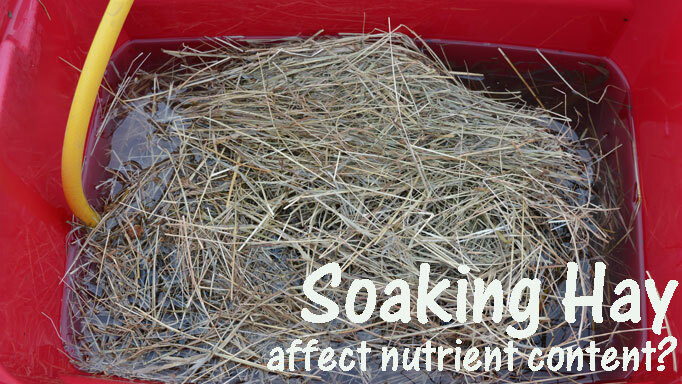 Q: Does soaking hay in water affect the nutrient content of the hay? A: There are several reasons why an owner or manager may choose to soak – or steam – their hay, and these reasons will affect which method is best. 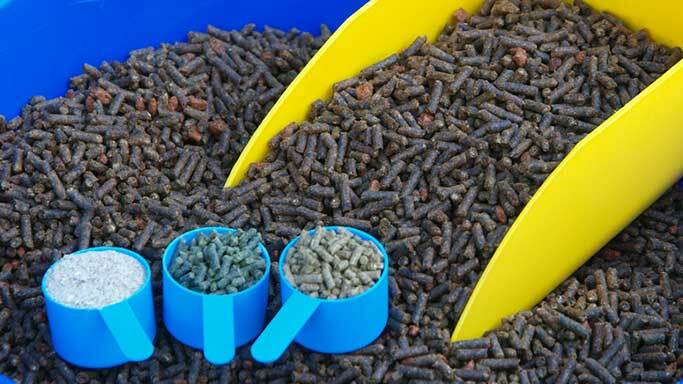 The balance is a challenge, however, because soaking will leach nutrients that may be needed in the horse’s diet. Therefore, for healthy horses, it is not recommended to soak hay. 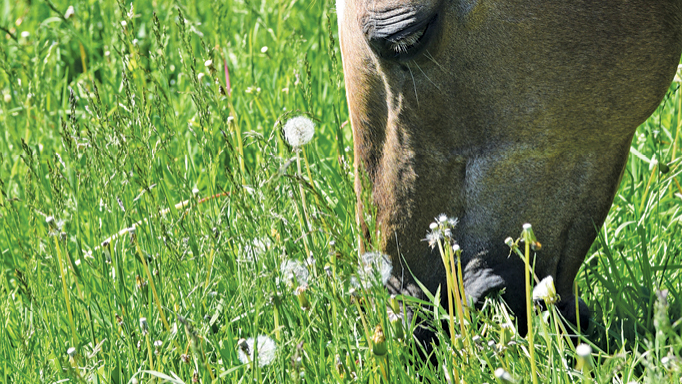 For horses with COPD or heaves, the goal is to reduce the dust particles and molds in the hay that might be inhaled and trigger an inflammatory reaction. In this case, simply getting the hay wet, through rinsing or a quick soak is sufficient. Steaming hay has the advantage of killing molds, but again, the goal is to reduce inhalation, which wetting can do. 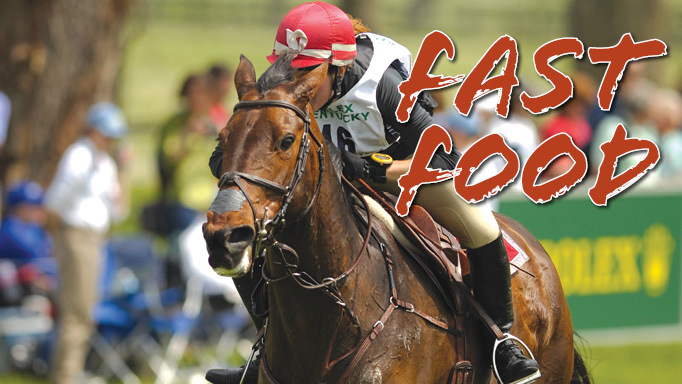 If an owner is looking to decrease the soluble sugars their horse consumes (due to polysaccharide storage myopathy (PSSM) or insulin resistance, etc. ), the first step would to be to have the hay analyzed as is. This is because some hays can have such high NSC (non structural carbohydrate) or sugar content, that soaking would not be sufficient to lower these to acceptable values (ideally lower than 10 per cent), and, similarly, one might find that their hay is already quite low and it doesn’t need to be soaked. To reduce the NSC content, soaking for 15 to 30 minutes in tap water (it doesn’t need to be warmed) will significantly decrease the NSC content, without resulting in leaching of important nutrients. Of course, the owner should also obtain a soaked hay sample for analysis to ensure the NSC content is sufficiently lowered. For horses with hyperkalemic periodic paralysis (HYPP) that are sensitive to potassium (K) in the diets, research has suggested that hay be soaked for longer – about one hour – prior to feeding. Again, it is important to test this soaked hay for K content afterwards, to ensure it is low enough (ideally K should be less than 1-1.1 per cent of the total diet). 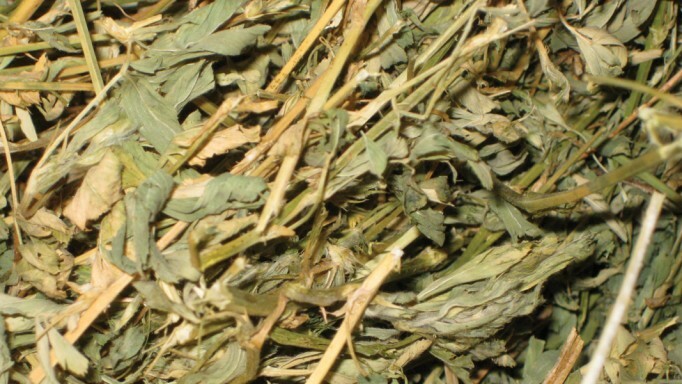 Some hays will be as high as 3 per cent K, and soaking might not be sufficient. Once hay has been soaked – for any reason or length of time – remember to toss the water somewhere where horses can’t drink it (and, therefore, still consume the nutrients you tried to get rid of). Also consider environmental runoffs when disposing of water.